"Approximately 5,900 undergraduate students study at Western Connecticut State, and they applaud the "real world" experience and involved atmosphere of this liberal arts institution located in Danbury, about 40 miles west of Hartford. Of particular interest is the Charles Ives Center, a 40-acre outdoor site hosting a variety of events including an annual campus festival called Westfest." Describe the type of student who should not attend Western Connecticut State University and explain why. Describe the type of student who should attend Western Connecticut State University. Why? What is a typical Western Connecticut State University student like? Describe the type of person that should attend Western Connecticut State University. A typical student is usually from Connecticut or a surrounding state. They have a generally good GPA and are concerned about their academic studies. What are the top 3 reasons someone should attend Western Connecticut State University? They should attend Western because of the great atmosphere on campus, also because of the outstanding honors program at the school. And the final reason why someone should attend Western is because tuition is reasonably priced. What was a typical Western Connecticut State University student like in high school? Describe the type of person that should attend Western Connecticut State University. Hardworking, with great time-management skills. Able to differentiate between work time and play time. Our mission as a public comprehensive University is given life through the principles and values that guide us. What are the top 3 things that students do for fun at Western Connecticut State University? The students participate in clubs and organizations. They hang out with friends on the weekends or at night. Or students will eat meals together. Campus housing is available for undergraduates. Housing deposit : $250.00. Housing deposit is not refunded if student does not enroll.. Freshman allowed to have car. No pets. The average student pays $14,893 for tuition, fees, and other expenses, after grants and scholarships. Total stated tuition is $4,510, in-state and on-campus, before financial aid. Learn more about financial aid at http://www.wcsu.edu/finaid/. Estimate the net price for you at http://www.wcsu.edu/admissions/netprice.asp. The typical (median) early career salary of Western Connecticut State University graduates is $45,200, according to Payscale. Western Connecticut State University participates in the NCAA Division III for college athletics. 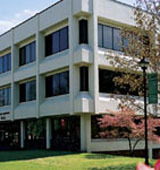 Want more info about Western Connecticut State University? Get free advice from education experts and Noodle community members.